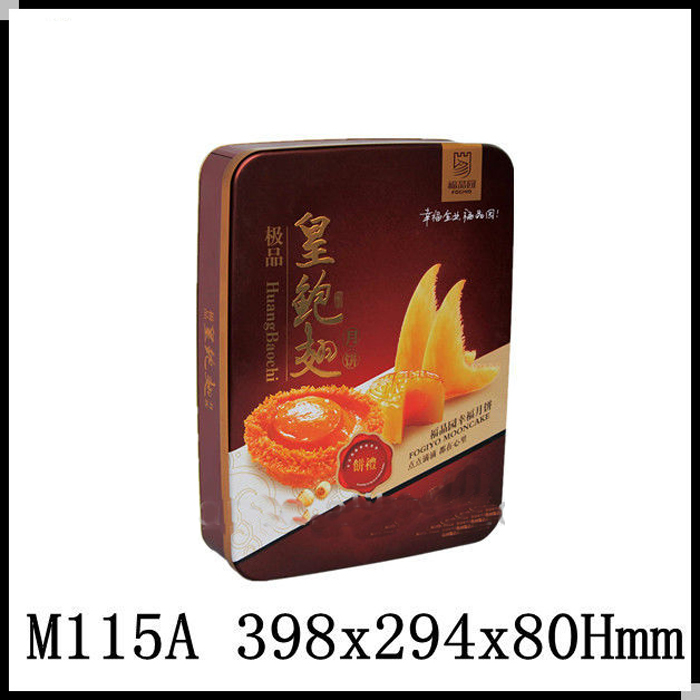 ﻿ Buy Rectagular shape tin cans for mooncake packaging -Tincan3-3 on China Loong Supply Chain Inc.
1) Size: M115A - 398X294X80 HMM. 3) Pringting: With no printing or 4C printing and protective coating outside, silver or golden varnish inside, shinny or matt finish, the printing design is according to our customer's artwork and requirements. 4) Function: Be applicable for packing, such as dry food, tea, medicine, cookie, chocolate, biscuit, gifts or other products(except liquid and gas),and be a unattached thing as a gift. 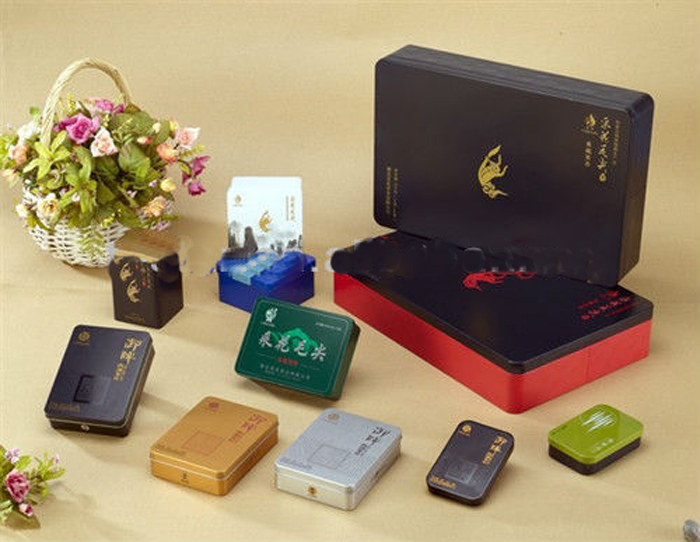 China Tincan packaging co.,ltd,established in 1998, is professionally engaged in printing tin boxes and tin products. 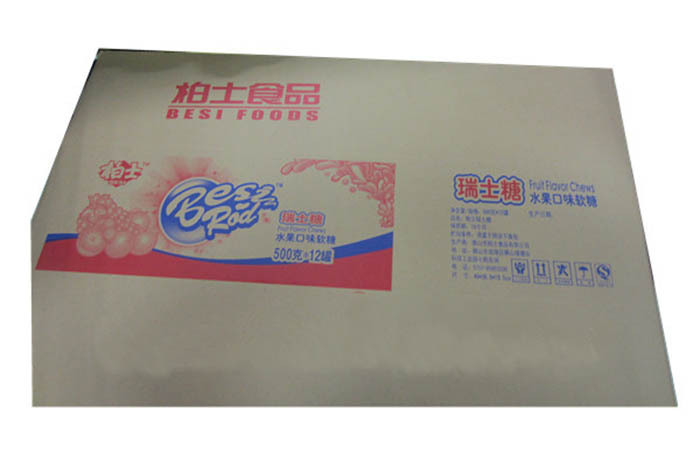 Our company integrating development and production together. We specilized in gift tin box, food cans, stationery, jewelry boxes, DVD boxes, tinplate badges, money cans, cigarette cases, glasses boxes, fruit pots, perfume pots, tea can and other square can, round can, heart-shaped can, hand-pull can, PVC opened window box, iron handicrafts, tray ,tin bucket, and coasters etc. Our company promises:reasonable prices,short production time and satisfactory after-sales service.We design and produce all kinds of cans.Moreover,we have four canning production lines now and a batch of high-quality experienced technical and management personnel.Our products have the features of novel styles and various sizes. In addition, we have professional production technology. Our products are deeply trusted by old and new customers. 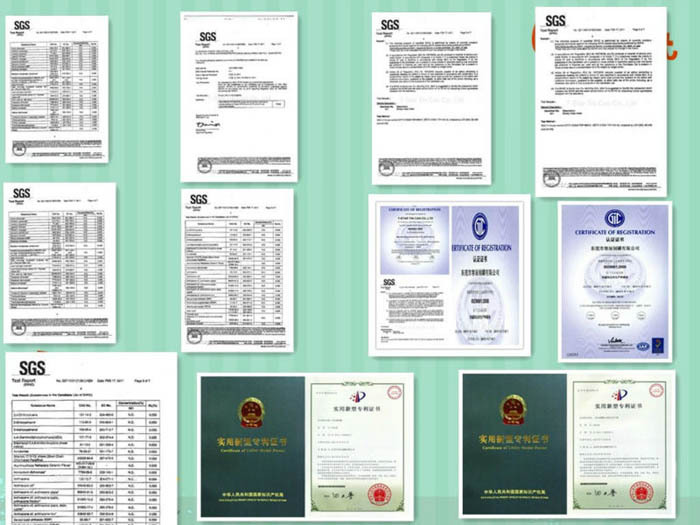 We hope to cooperate with more customers for mutual development and benefits. Let's hand in hand to a better future!